Easily installed into your vessels, these weldless style bulkheads create a water tight seal. 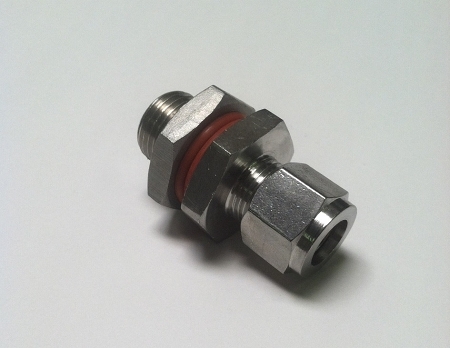 Simply attach a dip tube or whirlpool tube to the compression side, and our ball valves to the threaded side. I love these bulkheads! I use them exclusively to minimize thread exposure, really helps with the cleanup. Used these compression fittings on my herms coil. Excellent quality....no leaks!